More than once you will need a tool to convert M4A to MP3 maybe to reduce file size or even more likely to make it playable on your favorite media player. There are many tools out there but Wondershare Video Converter Free is by far the best M4A to MP3 converter available. It with a tone of features couple with a beautiful and easy to use interface. Some of the features include including support of virtually every media format, getting files directly from DVD, direct download from URL and upload to your favorite social media websites and devices. 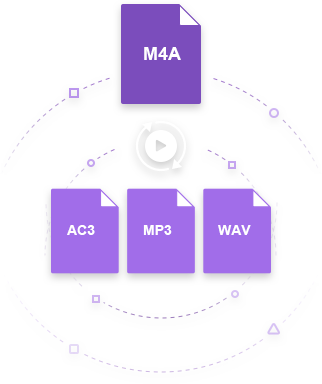 Below are the step-by-step tutorial on free M4A to MP3 conversion. Install and launch Wondershare Free M4A to MP3 converter on your PC, then click Add Files to import your target M4A files to the program. Click the drop-down arrow under Output format: or hit the format icon in the right to get the output format list, go to Format > Audio > MP3. 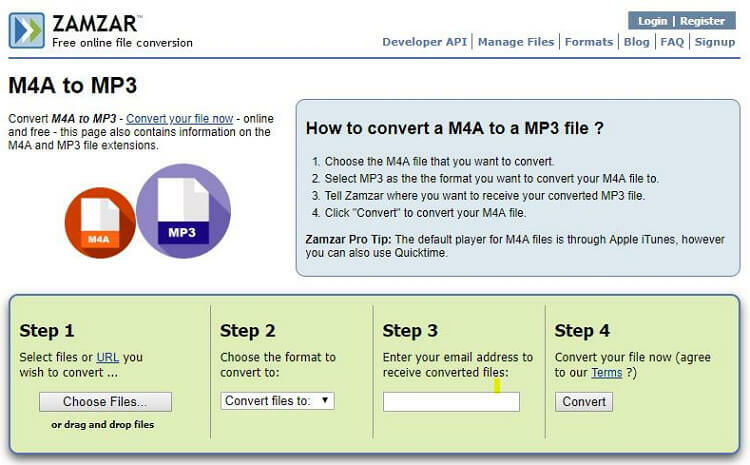 Now click Convert in the bottom right would proceed to free M4A to MP3 conversion right away. This a desktop software built specifically for audio conversion and it excels at that. 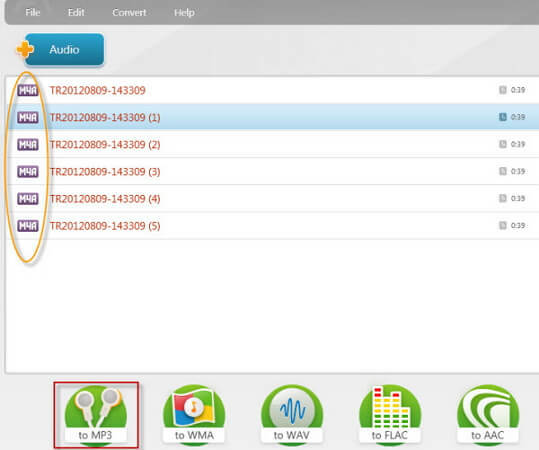 Apart from M4A and MP3 it also supports conversion between different audio formats such as WMA, WAV, AAC, OGG, MP3, M4A. 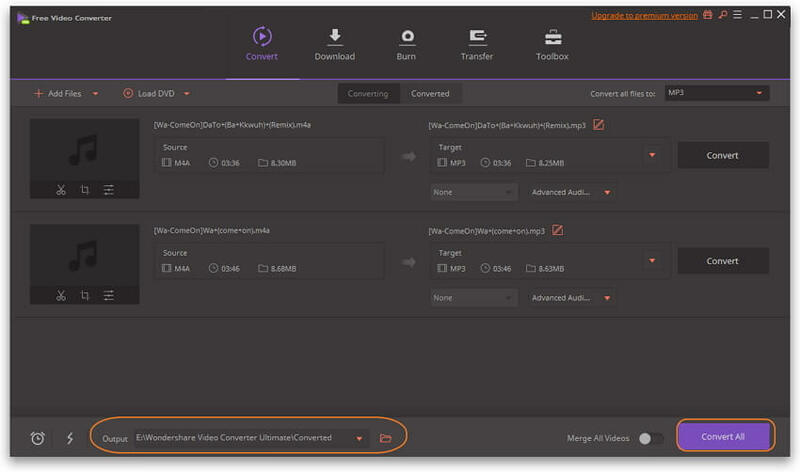 The software also allows you to convert multiple audio files from one format to another which comes really handy when you converting hundred of media say a whole season of your favorite podcast. Free M4A to MP3 converter is another freeware audio converter that allows you to convert between M4A and MP3. Let the word "Free" not deceive you, this software isn't deficient in terms of features at all. It comes with a built-in MP3 splitter/joiner, a video converter, and an audio editor. 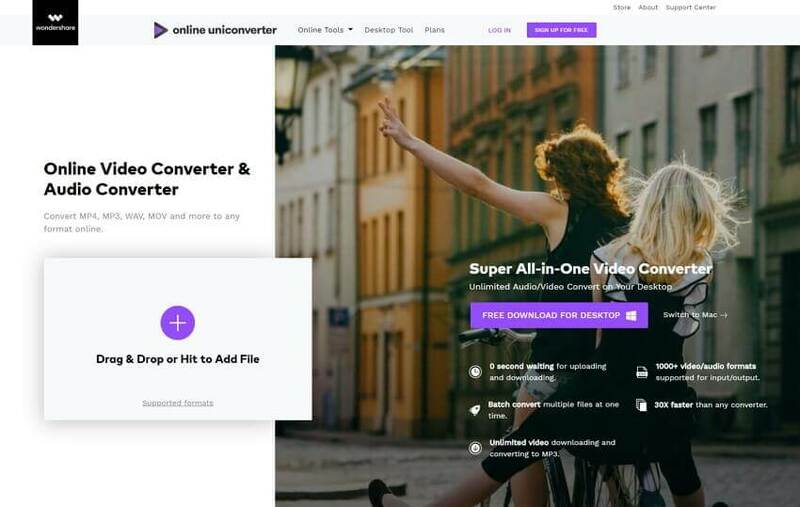 Online UniConverter (originally Media.io) is a feature-rich online media converter. It supports lots of media format other than M4A and MP3 which are of interest to us. This is the converter you really should go to when you are not able to install a desktop converter. It has a beautiful User interface and is really simple to use. 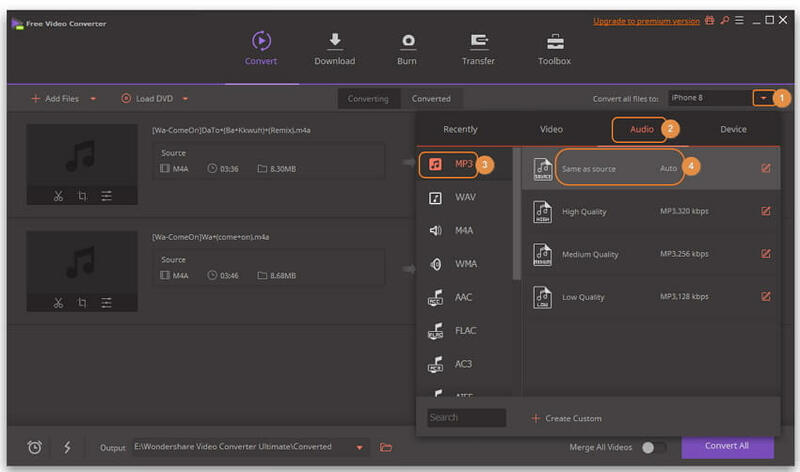 Simply upload your files on their interface, select destination and click convert. A Really appealing user interface. Cannot convert file from URL or the Cloud. 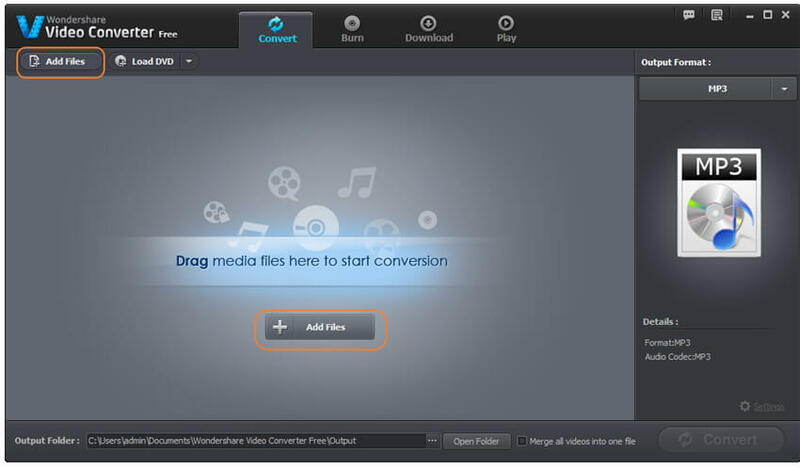 Zamzar is another free online tool that can be used to convert between different media files. Just like media.io, this tool is also simple but some of its disadvantages are that you have to input your email address to receive the converted files and the user interface doesn’t seem that modern. 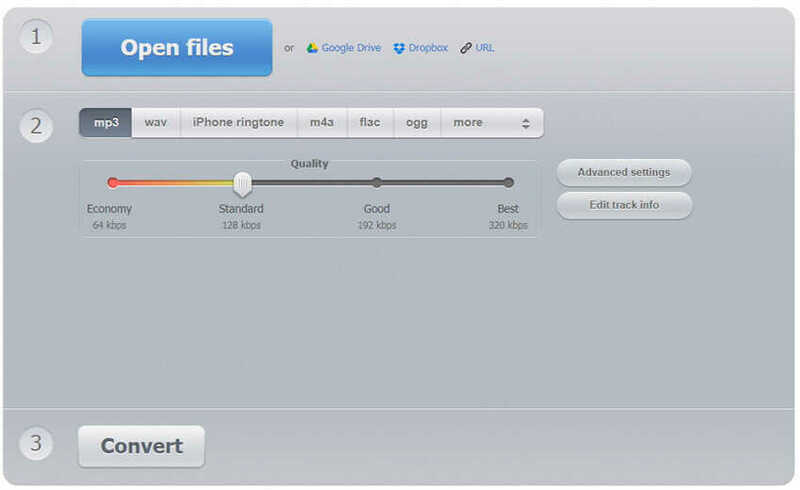 Allows users to convert files using the file URLs. 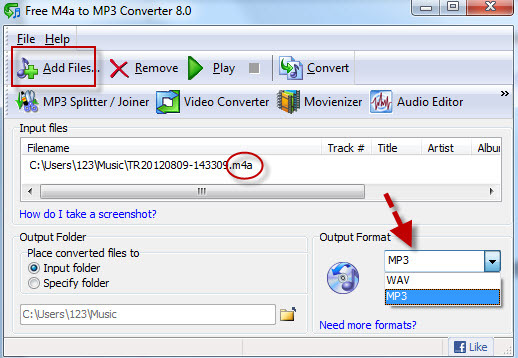 Gives a short step by step process on how to convert M4A to MP3. Online audio converter is a website that provides audio conversion for free. Its supports among other media type, M4A to MP3 conversion. Its advantage is the support for URL and Cloud upload i.e. Google drive and Dropbox while still maintaining its simple and easy to use interface. Uses a simple and easy to use interface. Provides capability to edit audio file metadata e.g Artiste and Genre. Support for diverse media formats is limited. Here we have basically answered three of your most pressing questions on the internet about audio conversion. What is the best M4A to MP3 converter? What is the best freeware M4A to MP3 converters? What are the top online M4A to MP3 converters. There are the top free M4A to MP3 converters for your specific situations.